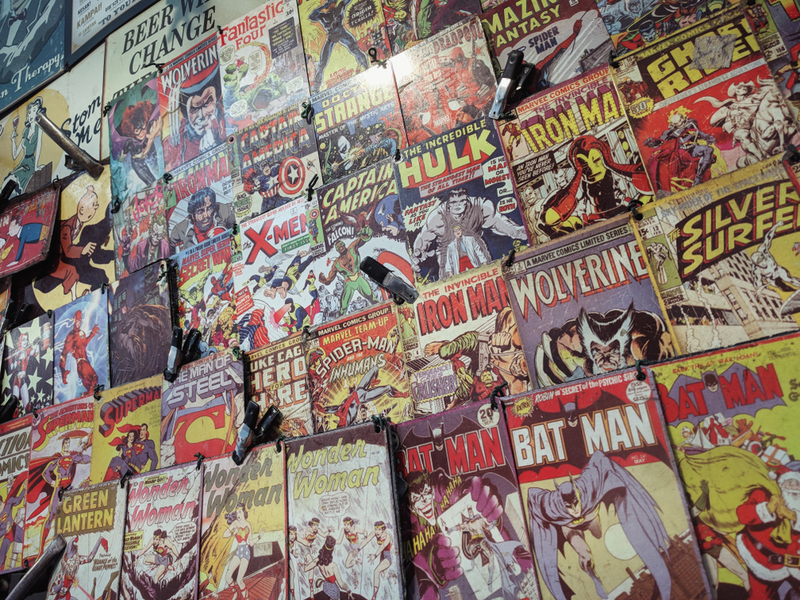 Marvel and DC Comic fans have always been enthusiastic about new movie ideas or trailers. People see their favorite characters in theaters, and fans are able to feel as if they were in the characters' world. During the end of 2018 and into 2019, the company's Marvel Studios and DC Films have released trailers for their future films. The Maroon and Gray looks ahead to review some of the upcoming movies of 2019. Directed by David Sandberg, the movie Shazam is set to hit theaters on April 5, 2019. The film is about a 14-year old foster child named Billy Batson who has the ability to transform into a superhero by shouting one word - “SHAZAM!” Billy Batson is played by a 16-year-old actor named Asher Angel. Still filled with his youthful personality and radiance, Shazam experiences his newfound powers with his friend, who is played by Jack Dylan Grazer. The new DC Comic movie switches between the character Billy Batson, and his superhero form, Shazam. During the film, he tests his new abilities through the outlook and spirit of a child. Though his powers have just been uncovered, he must learn how to control them in order to fight the evil Doctor Sivana. Later that month Avengers: Endgame is coming to theaters. Directed by Anthony Russo and Joe Russo, Avengers: Endgame is continuing the storyline of Avengers: Infinity War which was initially released on April 27, 2018. The new film is being released on April 26, 2019, almost one year exactly after the first movie. It is by far one of the most anticipated movies of 2019 with the beloved cast is returning to theaters again. Chris Evans, Robert Downey Jr, Chris Hemsworth, and Scarlett Johansson are among the actors in this film. In the new movie, almost half of the Avengers have gone after the Titan Thanos, who successfully wiped out half of the universe in Infinity War. Those that remain must stay close together, and find a way to bring back the part their team that has vanished. Once the team is reunited, they must stand and fight Thanos, the evil Titan. Less than two months after the initial release of these two movies, Dark Phoenix will be released on June 7, 2019 by Marvel Studios. Thus far, there has been little to no marketing for this X-Men film, and its release date remains unknown to some movie-goers. Dark Phoenix, directed by Simon Kinberg, was given an additional year for production and promotional opportunity. The official trailer was released on September 26, 2018. During a rescue mission in space, Jean Grey is almost killed when she is struck by an unknown cosmic force. Once she returns to Earth, the force becomes more powerful, and she becomes more unstable. When she comes in contact with the X-Men, she begins to lose control and begins to tear them apart. With growing conflicts, they must find a way to save Jean from the cosmic force, and discover a way to protect the galaxy from aliens who wish to harness the force for evil. These are among some of the films which are being released in 2019. People are holding high expectations for these movies, hoping that Marvel Studios and DC Comics fully portray the abilities and personalities of each of the characters. There were many great performances at the 61st Annual Grammy Awards, held on February 10, 2019 in Los Angeles. Shawn Mendes, Post Malone, Alicia Keys, and many others performed. Thanks to the musical legend and genius, Freddie Mercury, the music industry will never be the same. He had a gift to offer the world. FOX’s hit television show Empire is losing one of its cast members due to a staged hate crime he orchestrated. "Each of you comes here today hopeful, wanting in on the game. A month ago, you were in med school being taught by doctors. Today, you are the doctors. Karl Lagerfeld was a very high-end, well respected fashion designer. It is suspected that Lagerfeld was born on the date September 10, 1938 in Hamburg, Germany.